BinaryClues customers range from start-ups and fast-growing companies to well-established institutions; from marketing teams in small and medium-sized businesses to independent teams in large enterprise corporations. The ways they use BinaryClues to achieve their marketing objectives vary widely – the common denominator is the success they achieve. 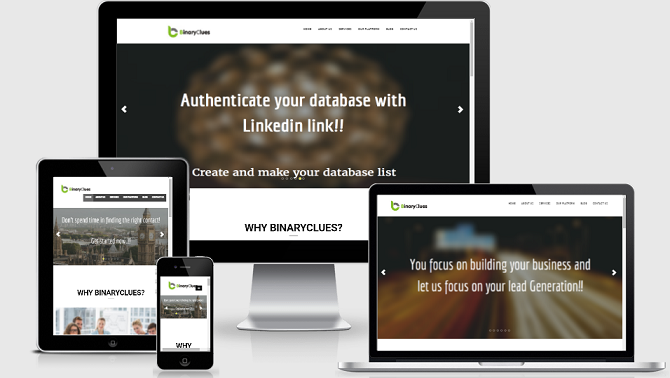 BinaryClues is a leading vendor for India, Europe, Africa and Middle East B2B List Provider to top Blue chips companies of the world and provides best of the US B2B Email List. You are looking to build a customize list of your industry and facing issues trying to figure out how can you build the list. Just don't worry, let us know. Not sure which database vendor to select for your lead generation problems. We are here to help you solve your worries. Why are we different and how are we breaking the monopoly of the biggest database vendors of the world? We not only give you just the database but also help you define your target audience and market which would there by increase your buyer reach & create new market for you using the Industry database list of BinaryClues. Every month we have been selling 25,000+ contacts/email list to our customer and building niche list which is Linkedin verified. We have helped several of our clients expand their businesses to new countries by offering them various CXO List of CEO, CMO, CIO, CTO, email list.